Sebastian Vettel makes his Ferrari race debut in Australia next week but the four-times Formula One world champion has been enjoying the perks of the job already. As the 27-year-old German told Ferrari principal Maurizio Arrivabene after arriving at Maranello from rivals Red Bull: "Finally, I can buy one." Being seen at the wheel of a shiny red Ferrari would not have gone down well with his previous employers but Vettel, a man with a passion for heritage and history, can now indulge himself. 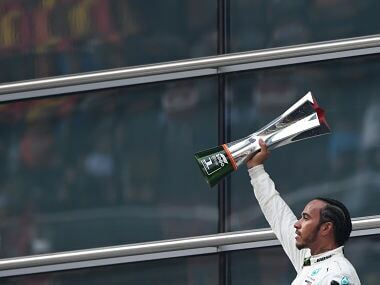 Like compatriot Michael Schumacher, who won five of his seven championships and most of his 91 race wins with the sport's oldest and most successful team, Vettel has joined a family. "He said to me many times ‘To be in Ferrari was always my dream since I was a kid’," Arrivabene told reporters at the last pre-season test in Barcelona, where Ferrari looked more competitive than in 2014. "When I saw him working in the box (pitlane), it was reminding me of another German guy. I was impressed by the concentration and the detail," added the boss. Vettel failed to win a race at Red Bull last season, after ending 2013 on a dominant high with nine wins in a row, while Australian team mate Daniel Ricciardo took three and was the only non-Mercedes driver to triumph. 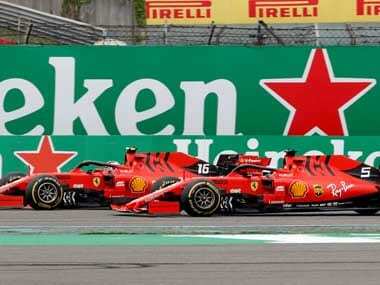 Ferrari also drew a blank, their first winless season since 1993, and both driver and team have something to prove in a new era following the exit of president Luca di Montezemolo and Spanish driver Fernando Alonso. "The worst is behind us, I'm optimistic," Ferrari chief executive Sergio Marchionne said at the Geneva auto show this week. "We'll win a championship by 2018, hopefully even earlier." Arrivabene said Vettel was now "120 percent part of the family" and already showing off his cheeky sense of humour. 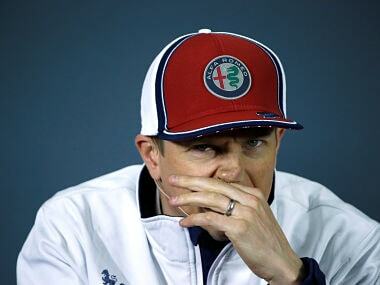 "He’s quite a funny guy," said the Italian, an independent board member of Juventus soccer club before joining Ferrari. "The other week he was making fun of me about the (Champions League) football. He put in my mind that he was a supporter of Borussia Dortmund, because I’m Juventus. Then I discovered that actually he’s a supporter of Eintracht Frankfurt. "He’s a super person with his feet on the ground, very simple. I’m not surprised he won four world titles, the way I saw him working." Vettel and team mate Kimi Raikkonen, Ferrari's most recent champion after taking the 2007 title, get on well and should make a solid partnership. 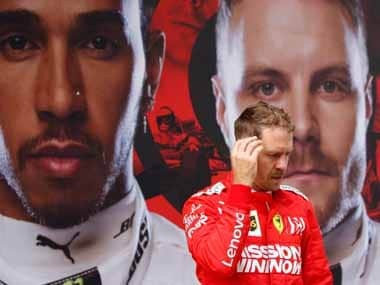 Different characters, they have the common aim of returning Ferrari to the top. 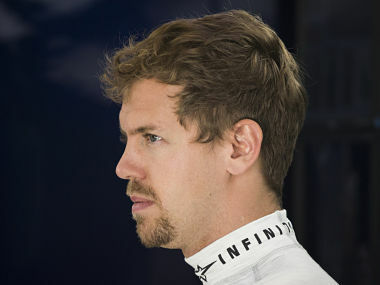 "The change felt right for me, and it gives me a lot of joy," Vettel told the official Formula1.com website. "My ambition is to be right there at the top again, not only for me but also in terms of the team. In this respect we should make a perfect fit." Arrivabene, the latest of three Ferrari principals in the space of a year, has said winning twice in 2015 would be fine, three times perfect and four near-miraculous. The immediate aim is to close the gap on champions Mercedes and to get everyone at Maranello to gel. "My goal is to create order, discipline and to be able to follow the programme that we have," said Arrivabene. "I told the team I don’t want to hear any more if we are going to fail that this is a problem of aero or engine or chassis design. "If we fail, we fail all together."